Editor&apos;s Note: Unfortuately, Jimbo&apos;s BBQ is no longer located in Pittsboro. It has moved to Clermont, Indiana. Having spent a decade living in Texas, I have quite a fondness for barbecue. So when some friends suggested meeting at Jimbo&apos;s BBQ in Pittsboro about a year ago, I jumped at the opportunity to try it out. But barbecue in Hendricks County? How would that compare to the mouth-watering barbecue that is so popular in Texas? I was skeptical. As it turns out, my skepticism was unwarranted. Jimbo&apos;s BBQ completely nails Texas barbecue. And Memphis barbecue. And Carolina barbecue. And Kansas City barbecue. As you may have surmised, I&apos;ve been back to Jimbo&apos;s BBQ countless times since my first trip last year, and recently, I had the opportunity to sit down with Jimbo himself -- also known as Jim Albeck -- to learn a little bit more about him and his restaurant. Jimbo&apos;s BBQ is owned by Albeck -- a Brownsburg native and a Pittsboro resident -- and his right-hand woman is girlfriend Robin Crose. Jimbo grew up working in his parents&apos; Northside Pantry in Brownsburg which, he says, was one of the first places to offer broasted chicken. With that background in serving food, as well as an innate love of cooking, Jimbo started tinkering with making his own barbecue sauce after an especially delicious meal at an Indianapolis barbecue joint back in 1990. Jimbo estimates that he has created hundreds of barbecue sauces over the last 25 years, and he offers his four absolute favorites at Jimbo&apos;s BBQ: Texas, Memphis, Carolina and Kansas City. There isn&apos;t a common base that is used in all four sauces, as is customarily the case at barbecue restaurants. Each of Jimbo&apos;s sauces has its own independent set of ingredients. Jimbo&apos;s Texas sauce and Carolina sauce are spot-on, in my opinion, as I&apos;ve had both types of barbecue in each of their home states. He has had customers say the same about his Memphis. I&apos;ve yet to sample barbecue in Kansas City, so I&apos;ll defer to our readers to see if that sauce at Jimbo&apos;s is just as accurate. There is a bottle of each sauce at every table, so you can try some of each! If you&apos;re craving Jimbo&apos;s BBQ but need to get back home or back to the workplace in a hurry, order some Jimbo&apos;s to go. Jimbo&apos;s BBQ also offers catering services, and you can purchase any of Jimbo&apos;s sauces in a variety of quantities. About five years prior to opening Jimbo&apos;s BBQ, Jimbo and his friend Jeff Nulty started selling barbecue out of a mobile food trailer that they hauled around to a variety of festivals and other community events. The trailer was popular, but the mobile nature of the business made it difficult for customers to find him at any given time. That problem was resolved when a friend of Jimbo&apos;s opened a Meineke shop in Avon and asked Jimbo to work out of his trailer in the lot there to help attract customers to both businesses. The success of that partnership provided Jimbo the capital to invest in his permanent location. Jimbo worked in construction and excavation for 30 years prior to opening Jimbo&apos;s BBQ, so when it came time to renovate the building at 12 E. Main St. in Pittsboro, Jimbo knew the perfect guy for the job: himself. Jimbo worked his full-time excavation job during the day and then spent his evenings at the restaurant doing the build-out and getting it ready to open. He spent his weekends running the food trailer. Jimbo tells a humorous story about how when Jimbo&apos;s BBQ opened on Sept. 23, 2013, there wasn&apos;t a single thing on the walls. That drove his girlfriend, Robin, crazy but Jimbo felt pressured to get the restaurant opened and start making money. He told Robin that he&apos;d worry about decorating later. Walk into Jimbo&apos;s BBQ today, and there&apos;s a whole bunch of neat stuff on the walls. Classic car parts are sprinkled throughout the decor, and those come from a car that Jimbo is slowly working on restoring in his very limited free time. When the popular Frank and Mary&apos;s restaurant in Pittsboro closed a few years ago, Jimbo was able to get the sign for free. It now hangs inside his restaurant. There are framed pictures and articles about the historic building across the street that was opened in 1882 by Charles J. Olsen as a harness factory and eventually produced the first and only automobile ever made in Hendricks County -- the "Olsen." Jimbo and Robin got copies of those pictures and articles from a local library. A friend offered to display his memorabilia collection celebrating NASCAR driver Jeff Gordon, who grew up in Pittsboro. 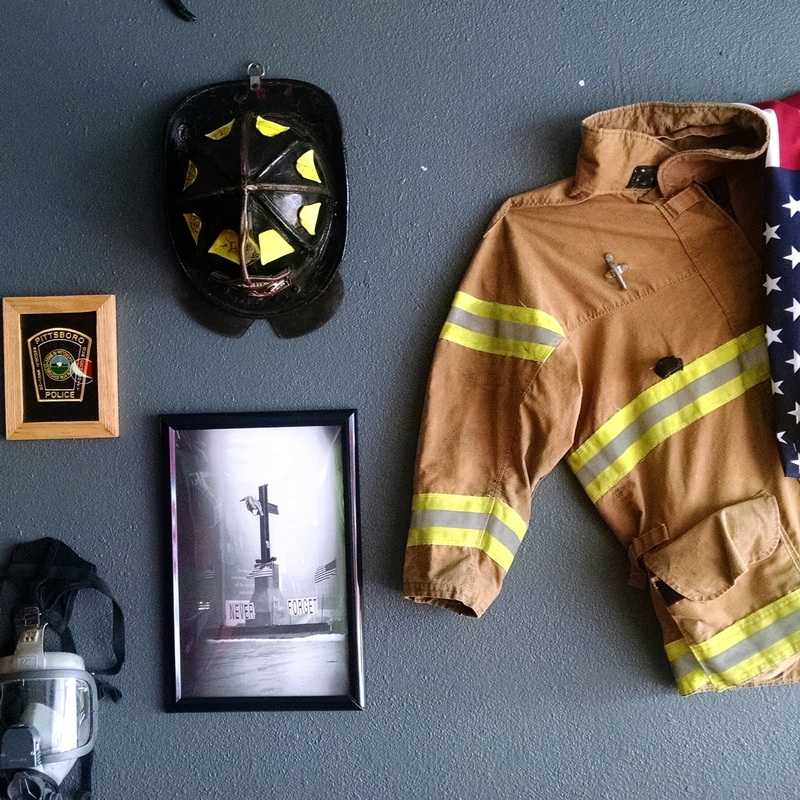 The Pittsboro Fire Department and the Pittsboro Police Department have each donated gear that is on display in Jimbo&apos;s BBQ, including an outstanding photo of Ground Zero that was taken by Pittsboro Police Chief Christi Patterson while on vacation in New York City. The result: a very comfortable, relaxing environment that celebrates everything Pittsboro while providing tremendous food. When Jimbo moved his business to its current location, there was a bar in the back room. That was not acceptable to Robin, who had visions of a family-friendly restaurant, not one filled with drunk and rowdy adults. 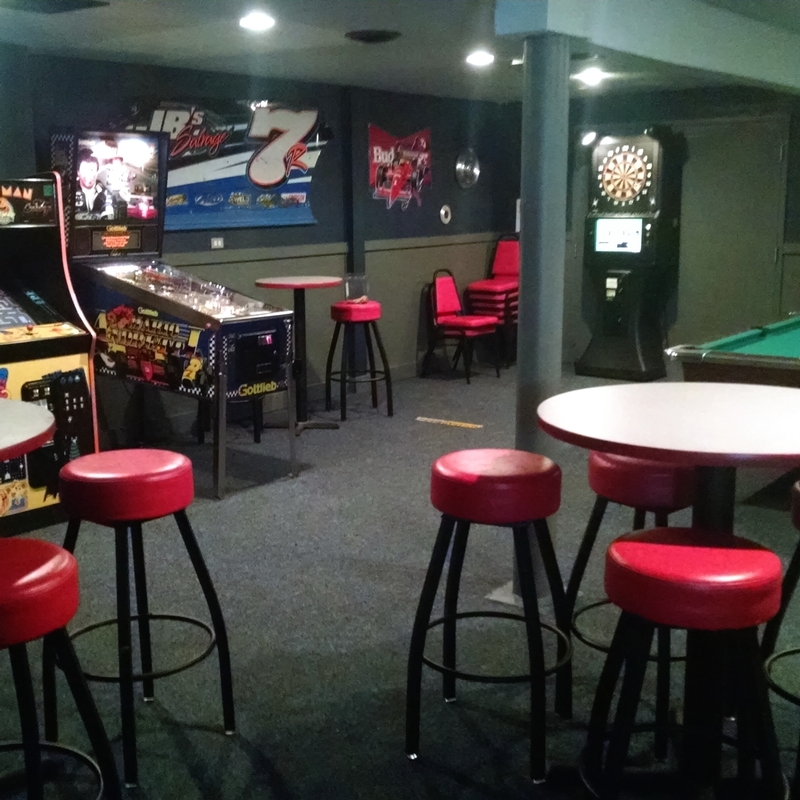 So out came the bar and in went a cool game room that is currently furnished with a pool table, a Pacman video game, a pinball machine and a dart board. Jimbo&apos;s BBQ offers kids&apos; meals, and my kids&apos; favorite is the hot dog and one side dish for a measly $2.99. Jimbo says that they&apos;re seeing more and more kids come in to the restaurant which makes Robin and him happy. The game room is separated from the main dining area, which makes for a fantastic meeting space. So if your business or organization is looking for a spot to meet -- especially if kids need to be entertained and everyone needs to be fed during your meeting -- Jimbo&apos;s BBQ is a great place to do that. Jimbo still operates his food trailer on a regular basis during the spring and summer months. You&apos;ll be able to find him at the Mayberry in the Midwest Festival and at the Hendricks County 4-H Fair in Danville, at the 4th of July Celebration at Hummel Park in Plainfield, and at Old Fashion Days in North Salem, just to name a few events. I&apos;ve only eaten the barbecue at Jimbo&apos;s BBQ, but locals rave about Jimbo&apos;s baked beans, chili, Brunswick Stew and rib tips. I&apos;m quite fond of his macaroni and cheese, too, so try that as one of your side dishes. 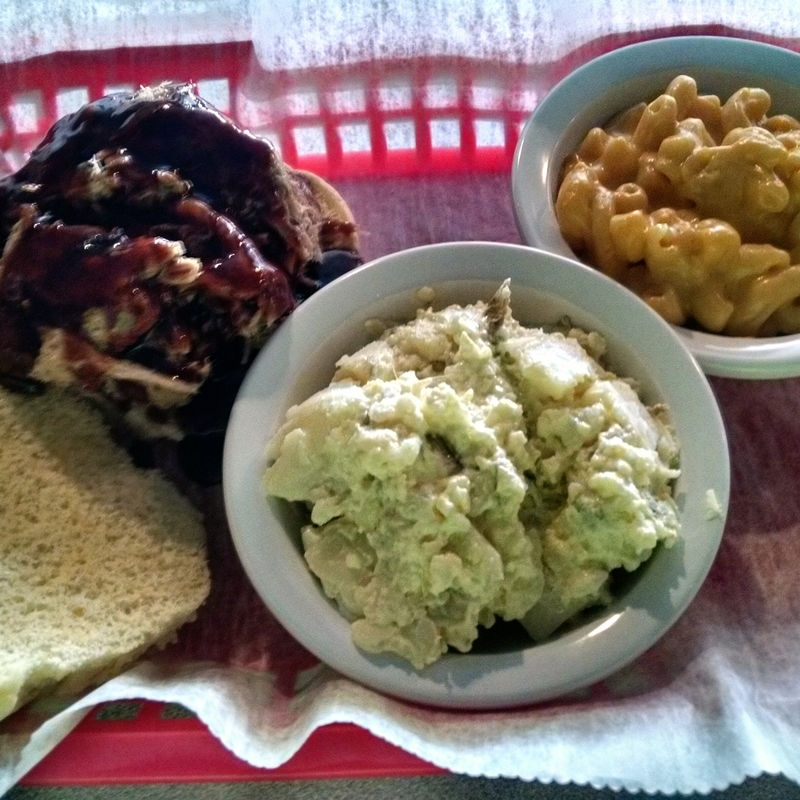 Make your way to Pittsboro for a very casual, comfortable, family-friendly environment and dig in for some delicious barbecue and more at Jimbo&apos;s BBQ. 12 E. Main St., Pittsboro, Ind.